If you need help understanding the property licensing rules in Camden you have come to the right place! We are experts in housing regulation and have produced this free guide to help you understand the council’s property licensing schemes. To help set the scene, the London Borough of Camden is in North London covering an area of 8.4 square miles. It is bordered by the boroughs of Brent to the west, Westminster and City of London to the south, Islington to the east and Barnet and Haringey to the north. According to the 2011 Census, about 32% (1 in 3) of the housing stock was privately rented which is above the London average of 25% (1 in 4). You do not need a licence if you rent your property to a single family as Camden Council do not operate a selective licensing scheme. However, if you rent out a flat in a converted building, you should check the additional licensing scheme below as some buildings containing flats do need to be licensed. If you rent your property as a House in Multiple Occupation (HMO), the answer is a bit more complicated. Camden Council introduced an additional licensing scheme in December 2015 and there is also the mandatory HMO licensing scheme that applies throughout England. The additional licensing came into force on 8 December 2015 and continues for five years, unless the council decide to implement a replacement scheme. It applies to all HMOs in the London Borough of Camden, so that includes all properties shared by three or more people who are not all related and share facilities – an estimated 8,000 properties. You can view the scheme designation in the ‘More Information’ box on the right of this webpage. The council have simplified things slightly by restricting the licensing of section 257 HMOs to situations where at least half the flats are tenanted or occupied by a resident landlord. This is a complex area of law and you may need further advice. Camden Council have standardised their fees for both the mandatory HMO and additional licensing schemes. There is a flat rate fee of £545 (was £495 in 2017/18, £450 in 2016/17) for the HMO (house of flat), plus an additional £54.50 (was £49.50 in 2017/18, £45 in 2016/17) for each individual unit of accommodation (e.g. bedroom, bedsit or studio flat) within it. So that would be £817.50 for an HMO with five separate lettings. Slightly different fees apply for section 257 HMOs and purpose built student accommodation. 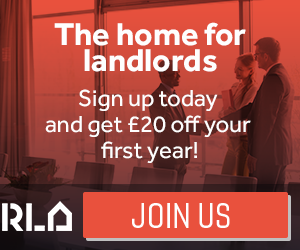 There is a £95 discount for accredited landlords, so it is worth joining a recognised accreditation scheme. The fees were last checked in October 2018 but could be subject to change in the future. You can view the fees in full on the council’s website. Camden Council operate an online application process. You may first want to read their guidance which explains the process and can be downloaded from the council’s website. Once you are ready, you can visit the council’s website and follow their four stage application process. You will need to submit various supporting documents with your application, so it is important to make sure you have all your paperwork ready. Yes, Camden Council has adopted HMO standards which all licensed HMOs must comply with and you can download a copy of their HMO standards here. In February 2015, Camden Council told us they had licensed 290 HMOs under the mandatory HMO licensing scheme. In September 2016, the council told us that the number of properties licensed under the mandatory HMO licensing scheme had dropped slightly to 284. In the meantime, 300 properties had been licensed under the new additional licensing scheme and a further 623 were being processed. In May 2017, the council revealed that almost 2,000 properties had either been licensed or the licence applications were being processed. By July 2018, the public register showed there were 2,247 licensed HMOs. Every council must have a public register of licensed HMOs and you can view Camden Council’s register on the council’s website. While Camden Council believe they’ve tracked down most of the HMOs under the mandatory HMO scheme, the same cannot said for their additional licensing scheme that started in December 2015. The council has estimated that between 6,000 and 8,000 HMOs will need to be licensed. Yet by July 2018 the public register only listed 2,247 licensed HMOs. It seems there are thousands of rented properties in Camden that are being operated illegally without a licence. We would strongly encourage any landlords of licensable HMOs to apply now to avoid facing the consequences of non-compliance. If you need assistance, we can handle the application process for you and all for a fixed fee (read here). Camden Council told us they took 20 housing prosecutions over the three years from April 2011 to March 2014. They took a further six prosecutions in 2014/15, three prosecutions in 2015/16 and five prosecutions in 2016/17, so an average of almost six housing prosecutions a year. This is well above average when compared to other London Boroughs. They are serious when it comes to enforcement! The council have obtained one Rent Repayment Order from the landlords of unlicensed HMOs over the six years from April 2011 to March 2017. In 2015, a landlord was ordered to pay the council a Rent Repayment Order of almost £60,000. Tenants have also been successful in obtaining Rent Repayment Orders. In 2012, a group of tenants were awarded around £10,000, while in February 2017, another group of tenants were awarded over £6,000. This is based on data published by the Courts and Tribunals Judiciary. Whilst we don’t have any figures for the NLA or RLA schemes, we have got information about the London Landlord Accreditation Scheme that is supported by all the London Boroughs. In January 2016, they told us there were 751 accredited landlords in Camden, which was the 3rd highest out of all London boroughs. By January 2018, that figure had increased to 996, which remains the third highest when compared to all the London boroughs. To find out more about becoming accredited, you can visit the London Landlord Accreditation Scheme website here. Given that Camden host the London Landlord Accreditation Scheme on behalf of all the boroughs, we would expect them to score highly! Camden Council has already introduced a borough additional licensing scheme. The council consulted on the proposed additional licensing from 4 September to 28 November 2014 and information about the consultation is available here. Following a report to Cabinet on 25 February 2015, Camden Council carried out a second phase of consultation to ensure they fully complied with the Enfield Judicial Review decision. The consultation ran from 23 February to 5 May 2015 (read here). On 4 June 2015, the Cabinet Member for Housing and the Deputy Leader met to consider an additional licensing scheme report. They decided to proceed with a borough wide additional licensing scheme covering all HMOs and the scheme came into force on 8 December 2015. Camden Council told us they have no current proposals to consider a selective licensing scheme. Clearly, there is a lot happening in Camden so we will monitor the situation closely and keep you posted. In September 2016, we checked with Camden Council and found that there is currently no HMO Article 4 Direction in force, although it is something they are thinking about. More information about Article 4 Directions can be found on the council’s website. No selective licensing in Camden but mandatory HMO and additional licensing schemes apply borough wide.